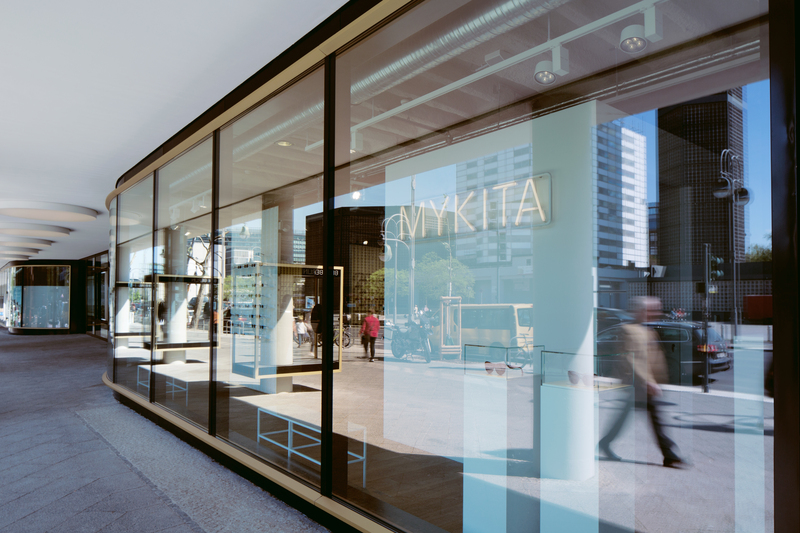 The MYKITA Shop in the city’s west is housed under the roof of the Bikinihaus, the 1950s architectural icon of West Berlin. 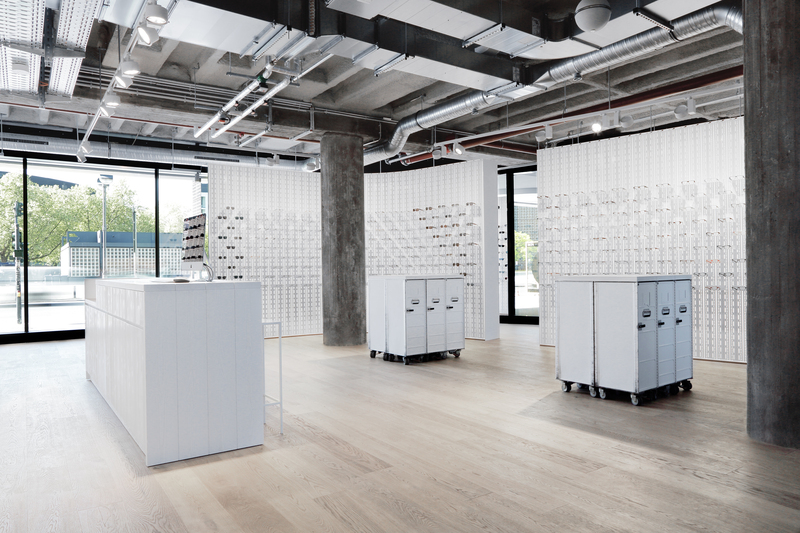 The shop concept of the Berlin manufactory combines the characteristic in-house aesthetic with optometric precision, made in Germany. 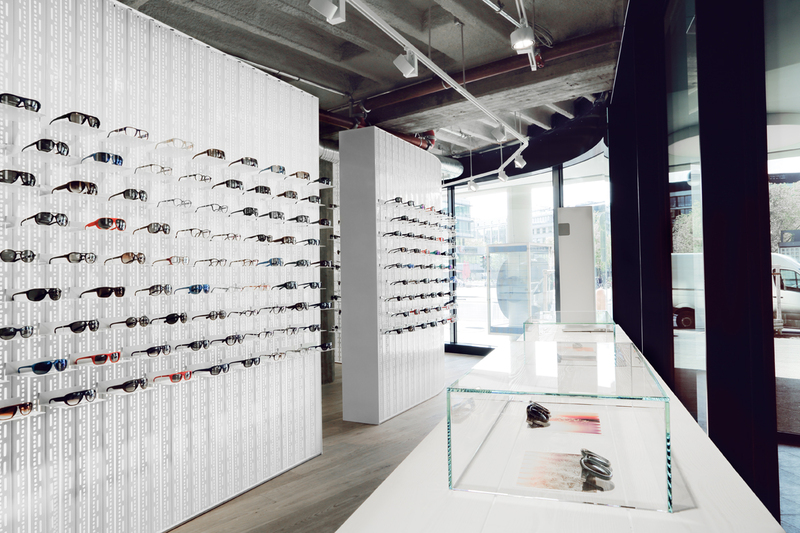 Here the concept of the readymade – objects removed from their original context – merges with specially designed furniture pieces and stage-like lighting. The result is a kind of installation, the simple and clear construction of which preserves the original character of the 1950s building.